Easy remote control for any tv compatiblewithmany compatible models. This application is a useful tool touse asa remote to control electronic home appliances. The Easy remote tv is highly recommended when your normalcontrolhas been broken or has run out of batteries, and you want tousethe phone as a Easy remote tv. You only have to followtheinstructions and select the model of your TV from the list.Itworks with other devices such as DVD, TDT and other devicesthatare plugged into the television. This command is one of the easiest to use because of itsclearinterface, you only have to select the program and work. Ifyourmodel is not supported, please indicate the name and we'llreviewin future updates. The Easy remote control for any tv uses a technology forIRconnection, so if your phone is not available, it will bedifficultto establish a connection with the TV. Compatible withmodels likeSamsung TV, LG Phillips TV or TV among many lesser knownbutpopular television market. In the Settings button, you can set the model, and the Infobutton,you can read and follow the steps you have to perform tomonitorand remotely with universal command, it is quitesimple. This Easy tv remote control all chanels tv No setup required.Justselect your TV brand and start using it.• Power ON /OFFControl. TV Remote Control, easily convert your Android phone or tabletintoa universal remote control for your TV. Now you can change volume sound and switch the tv channel withyourphone! Everyone will be shocked when they will realize thatyourAndroid device is able to control almost everyTVmanufacturer! Universal TV Remote Control compatiblewithmany compatible models. This application is a useful tool touse asa remote tocontrol electronic home appliances.The universal remote control is highly recommended when yournormalcontrol has been broken or has run out of batteries, andyouwant to use the phone as a universal remote. You only havetofollow the instructions and select the model of your TVfromthelist. It works with other devices such as DVD, TDT andotherdevices that are plugged into the television.This command is one of the easiest to use because of itsclearinterface, you only have to select the program and work.Ifyourmodel is not supported, please indicate the name and we'llreviewin future updates.The universal remote control for TV uses a technology forIRconnection, so if your phone is not available, it willbedifficultto establish a connection with the TV. Compatible withmodelslike Samsung TV, LG Phillips TV or TV among many lesserknownbutpopular television market.In the Settings button, you can set the model, and theInfobutton, you can read and follow the steps you have toperformtomonitor and remotely with universal command, it isquitesimple.This Universal Remote Control TV control all chanels tv Nosetuprequired. Just select your TV brand and start using it.•PowerON/ OFF Control.• AV / TV.• Mute / Un-Mute.• Channel Digits buttons.• Channel index and lists.• Volume Up Control.• Volume Down Control.• Channel Up Control.• Channel Down Control.• Menu Button with up / down and left / right Controls.• Red / Green / Blue / Yellow (Multiple purpose soft keys).TV Remote Control, easily convert your Android phone or tabletintoa universal remote control for your TV.his application is compatible with:remote for Dish TV1 remote control for LG TV2 Remote control for Samsung TV3 Remote Control for Sony TV4 Remote control for Vizio TV5 Remote Control for Panasonic TV6 remote control for Sharp TVNow you can change volume sound and switch the tv channel withyourphone! Everyone will be shocked when they will realize thatyour Android device is able to control almost everyTVmanufacturer! Quick remote control for any tv compatiblewithmany compatible models. This application is a useful tool touse asa remote to control electronic home appliances.The quick remote tv is highly recommended when your normalcontrolhas been broken or has run out of batteries, and you want tousethe phone as a quick remote tv. You only have to followtheinstructions and select the model of your TV from the list.Itworks with other devices such as DVD, TDT and other devicesthatare plugged into the television.This command is one of the easiest to use because of itsclearinterface, you only have to select the program and work. Ifyourmodel is not supported, please indicate the name and we'llreviewin future updates.The quick remote control for any tv uses a technology forIRconnection, so if your phone is not available, it will bedifficultto establish a connection with the TV. Compatible withmodels likeSamsung TV, LG Phillips TV or TV among many lesser knownbutpopular television market.In the Settings button, you can set the model, and the Infobutton,you can read and follow the steps you have to perform tomonitorand remotely with universal command, it is quitesimple.This quick tv remote control all chanels tv No setup required.Justselect your TV brand and start using it.• Power ON /OFFControl.• AV / TV.• Mute / Un-Mute.• Channel Digits buttons.• Channel index and lists.• Volume Up Control.• Volume Down Control.• Channel Up Control.• Channel Down Control.• Menu Button with up / down and left / right Controls.• Red / Green / Blue / Yellow (Multiple purpose soft keys).TV Remote Control, easily convert your Android phone or tabletintoa universal remote control for your TV.his application is compatible with:remote for Dish TV1. remote control for LG TV2. Remote control for Samsung TV3. Remote Control for Sony TV4. 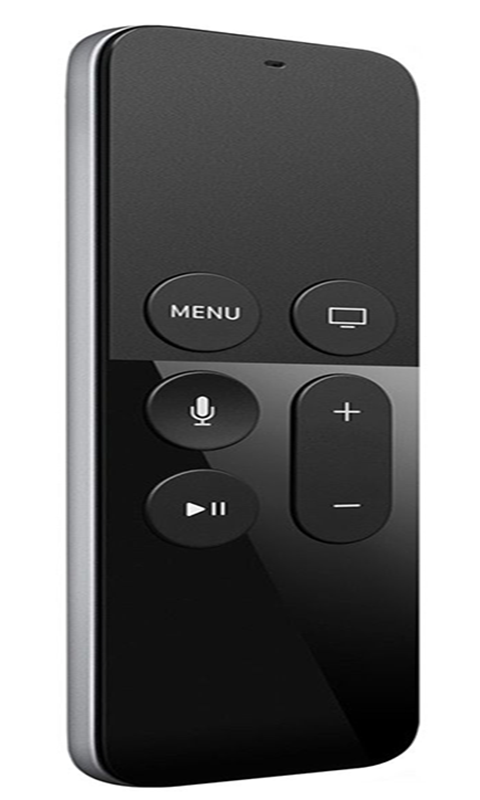 Remote control for Vizio TV5. Remote Control for Panasonic TV6. remote control for Sharp TV7. remote control for vizio TVNow you can change volume sound and switch the tv channel withyourphone! Everyone will be shocked when they will realize thatyourAndroid device is able to control almost everyTVmanufacturer! Super remote control for any tv compatiblewithmany compatible models. This application is a useful tool touse asa remote to control electronic home appliances.The Super remote tv is highly recommended when your normalcontrolhas been broken or has run out of batteries, and you want tousethe phone as a Super remote tv. You only have to followtheinstructions and select the model of your TV from the list.Itworks with other devices such as DVD, TDT and other devicesthatare plugged into the television.This command is one of the easiest to use because of itsclearinterface, you only have to select the program and work. Ifyourmodel is not supported, please indicate the name and we'llreviewin future updates.The Super remote control for any tv uses a technology forIRconnection, so if your phone is not available, it will bedifficultto establish a connection with the TV. Compatible withmodels likeSamsung TV, LG Phillips TV or TV among many lesser knownbutpopular television market.In the Settings button, you can set the model, and the Infobutton,you can read and follow the steps you have to perform tomonitorand remotely with universal command, it is quitesimple.This Super tv remote control all chanels tv No setup required.Justselect your TV brand and start using it.• Power ON /OFFControl.• AV / TV.• Mute / Un-Mute.• Channel Digits buttons.• Channel index and lists.• Volume Up Control.• Volume Down Control.• Channel Up Control.• Channel Down Control.• Menu Button with up / down and left / right Controls.• Red / Green / Blue / Yellow (Multiple purpose soft keys).TV Remote Control, easily convert your Android phone or tabletintoa universal remote control for your TV.his application is compatible with:remote for Dish TV1. remote control for LG TV2. Remote control for Samsung TV3. Remote Control for Sony TV4. Remote control for Vizio TV5. Remote Control for Panasonic TV6. remote control for Sharp TV7. remote control for vizio TVNow you can change volume sound and switch the tv channel withyourphone! Everyone will be shocked when they will realize thatyourAndroid device is able to control almost everyTVmanufacturer! Easy remote control for any tv compatiblewithmany compatible models. This application is a useful tool touse asa remote to control electronic home appliances.The Easy remote tv is highly recommended when your normalcontrolhas been broken or has run out of batteries, and you want tousethe phone as a Easy remote tv. You only have to followtheinstructions and select the model of your TV from the list.Itworks with other devices such as DVD, TDT and other devicesthatare plugged into the television.This command is one of the easiest to use because of itsclearinterface, you only have to select the program and work. Ifyourmodel is not supported, please indicate the name and we'llreviewin future updates.The Easy remote control for any tv uses a technology forIRconnection, so if your phone is not available, it will bedifficultto establish a connection with the TV. Compatible withmodels likeSamsung TV, LG Phillips TV or TV among many lesser knownbutpopular television market.In the Settings button, you can set the model, and the Infobutton,you can read and follow the steps you have to perform tomonitorand remotely with universal command, it is quitesimple.This Easy tv remote control all chanels tv No setup required.Justselect your TV brand and start using it.• Power ON /OFFControl.• AV / TV.• Mute / Un-Mute.• Channel Digits buttons.• Channel index and lists.• Volume Up Control.• Volume Down Control.• Channel Up Control.• Channel Down Control.• Menu Button with up / down and left / right Controls.• Red / Green / Blue / Yellow (Multiple purpose soft keys).TV Remote Control, easily convert your Android phone or tabletintoa universal remote control for your TV.his application is compatible with:remote for Dish TV1. remote control for LG TV2. Remote control for Samsung TV3. Remote Control for Sony TV4. Remote control for Vizio TV5. Remote Control for Panasonic TV6. remote control for Sharp TV7. 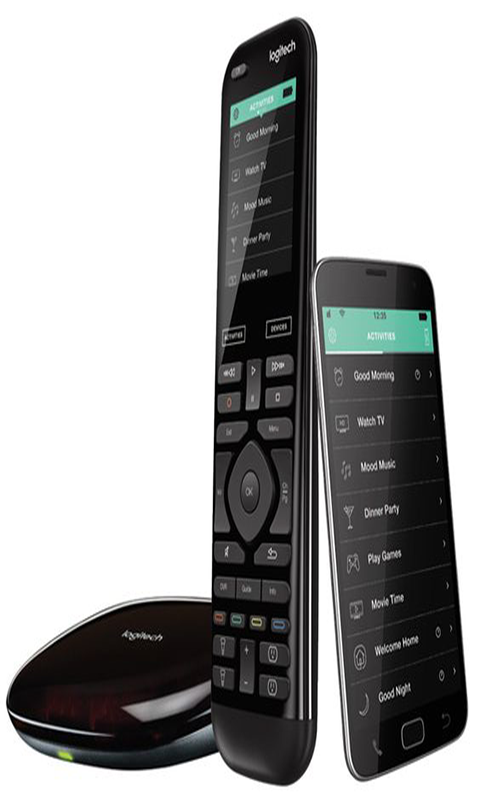 remote control for vizio TVNow you can change volume sound and switch the tv channel withyourphone! Everyone will be shocked when they will realize thatyourAndroid device is able to control almost everyTVmanufacturer! Forget about physical tv controller! 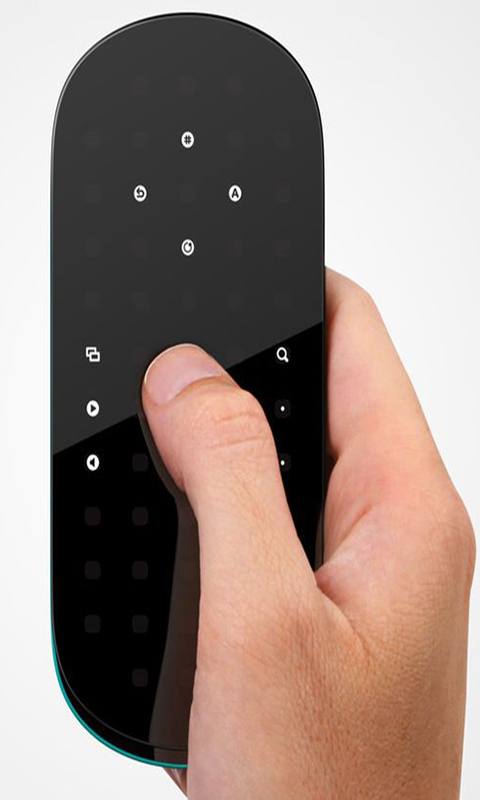 Nowyoucan use your phone as a functional TV remote controller! Nowyoucan change channels and steer your smart device just byclickingone button in your phone! This TV remote can work withalmost everyTV manufacturer! Watch television using functionalTVcontroller!